Do you need some inspiration for your upcoming party or celebrations? Here are some fellow small businesses I personally recommend, who can assist you in bringing your celebration to life! Do you need some ideas for games, activities or decorations for your party? Or would you like someone to take all that organising off your hands and create the most colourful, fun and tailored event you could imagine? Fiona from Easy Breezy Parties provides party planning, ideas, decorations and entertainment to ensure your party is everything you could hope for. From budget to premium services, she can customise a party package for you. 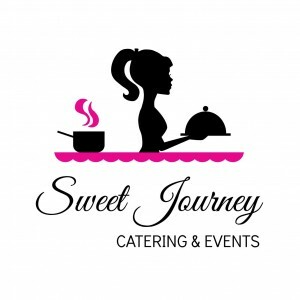 The team at Sweet Journey love food, and love to create. They pride themselves in providing scrumptious food that is personally and lovingly made, ensuring the best possible quality, taste and aesthetics. With a wide menu on offer creating savoury and sweet finger foods, platters and buffets they can create a delicious menu for your event, all topped off with fantastic service and an affordable catering experience. Contact Meiling for all the tasty details. Sweet Little Melody has a wide array of beautiful, unique handmade Flower Crowns and Baby Photography Props and additionally offers a customised service to make that special piece perfect just for you. Gorgeous Flower Crowns suitable for Brides, bridesmaids, flowergirls (including matching Groom and Groomsmen Boutonniere’s), birthday parties, hen’s nights, baby or maternity photography shoots or any special occasion or event. Baby photography props include bonnets, teddy bears, rompers and more. Offering superior customer service and the highest quality materials, you are welcome to contact Ayla anytime to discuss your requirements.